Learn how to prepare financial accounts effectively and analyse the trial balance and cash flow to improve your business performance. 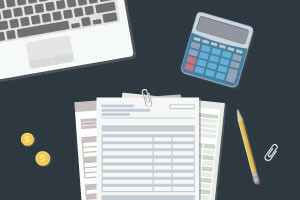 This Fundamentals of Financial accounting course introduces the learner to the key ratios and their role in accounting, the cause and impact of common accounting issues as well as the specifics of balancing transaction on a daily basis. You will get an overview the budgeting.and managing cash flow, how prepare profit and loss statements and how to account for depreciation. There is also an overview of the causes of commons risks to small businesses and you will also learn about inventory control and how to depreciate stock over time. This course will be of interest to anybody wanting to set up their own business as it will help them read and understand their accounts. It will also be of interest to anybody who want to learn about managing financial within their organisation.